You are here: Home / Life / Academics / Cramming is Cool, But You Know What’s Better? Cramming can be a great way to prepare for upcoming tests. It can also… It has the ability to… Is there anymore more it can do? I can’t remember. I typed this story the night before. If only I can recall why cramming isn’t really reliable. Fantastic. Now how are we supposed to study for those pop quizzes? Those terrifying exams? Finals week? If only there were other, more productive ways to get ready for this hell-fire. Let’s imagine a scenario where you’re so prepared for an exam that the night before you get to sleep for a full eight hours. Now triple that awesome feeling and put a cherry on top. That’s what organization will do for you. “I make organized planners that tell me when everything is due,” said Ohio University junior Mikayla Liston. “I also have a finals studying calendar and record all of my lectures.” This is a sure-fire way to help curb the furious storm we call PowerPoint copying. Professors post that stuff up for grabs to review anyway. Your stress level will drop from fetal position on the library floor to relaxing massage by the hands of a world-class masseuse. But what are the best ways to review? Visually? Orally? With a group? You can even go as far as bribing your classmates with Easter eggs filled with coins (real or chocolate, they’ll love both) to get a good discussion group going. This is also a great way to push the zzz’s out of studying. Allison Cohen, the Interim Director of Psychology at Delaware Valley College, believes that a personal connection to study material will help make it seem more meaningful. 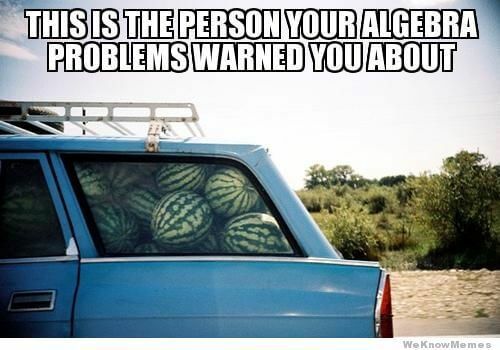 It’s a more profound reason that’ll get you roarin’ to learn about duller subjects, like those math problems where people buy an unreasonable amount of fruit. So you figured out the best way to learn and now you’re more organized than one of Sheldon Cooper’s filing cabinets. But it’s still not enough. If only there was a place that has the notes you need but from a different perspective… Oh wait, there is: StudySoup. No, you won’t find extensive studies on chicken noodle soup here. But it does provide students with a variety of notes for specific classes. StudySoup wants to emphasize that the materials students can obtain will give them an expanded perspective on that specific class. It’s more or less a way to fill in the gaps that professors leave open. And if you decide to become an Elite Notetaker on their site, you’ll not only see your own grades improve from more attentive note-taking, but also get paid for those notes. It’s a win-win situation, am I right? So don’t underestimate your studying resources. Your friends want to help you; professors beg students to visit office hours; you can even get a tutor for underwater basket weaving if it’s necessary. Cramming is definitely a last resort. And don’t forget about the best resource of them all: you. Cherish your thoughts and accept that you are a studying machine that can’t be stopped. Matt Howard is a junior at Ohio University studying Advertising while specializing in English and Creative Writing. He strives to become the Doctor's next companion while writing about the topics that deserve recognition.